Copper is man’s oldest metal, dating back more than 10,000 years. A copper pendant discovered in what is now northern Iraq goes back to about 8700 B.C. Paul Revere, of Revolutionary War fame, produced the copper hull sheathing, bronze cannon, spikes and pumps for the U.S.S. Constitution, known as "Old Ironsides." 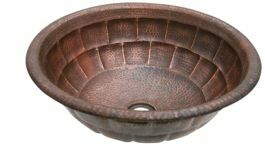 Revere was one of the earliest American coppersmiths. The boilers on Robert Fulton’s steamboats were made from copper. One of the famous Dead Sea Scrolls found in Israel is made of copper instead of more fragile animal skins. The scroll contains no biblical passages or religious writings—only clues to a still undiscovered treasure. Archeologists have recovered a portion of a water plumbing system from the Pyramid of Cheops in Egypt. The copper tubing used was found in serviceable condition after more than 5,000 years. A museum at the University of Pennsylvania displays a copper frying pan that has been dated to be more than 50 centuries old. 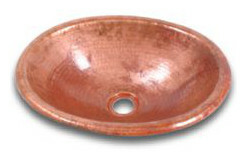 Copper cookware is the most highly regarded by chefs around the world. Its noted advantages—high heat transfer (the highest of any material used in cooking) plus uniform heating (no hot spots). Restaurateurs, hoteliers and interior decorators look to copper and brass as naturally inviting metals that make a statement of quality, comfort, and beauty. Some things never change! Ten thousand years ago, cave dwellers used copper axes as weapons and tools for survival. Today, high tech surgeons save lives and precious blood by using copper-clad scalpels. The copper conducts an electric current that heats the scalpel to make it self-cauterizing. The first copper deposit worked extensively in America (by non-native Americans) is located in Granby, Connecticut. It was operated from 1705 until 1770. Pure copper’s melting point is 1,981°F (1,083°C). A leaded yellow brass, C36000, also known as Copper Alloy 360 is so easy to machine, it is the benchmark standard for metals machinability. Other copper alloy families include copper-nickels and nickel silvers. CDA recognizes more than 400 copper-base alloys in current use. The penny contains only 2.6% copper. In 1982, the U.S. Mint converted production of the 95% copper coin to a predominantly zinc alloy but coated it with copper to preserve its appearance. The U.S. nickel is actually 75% copper. The dime, quarter, and half dollar coins contain 91.67% copper and the Susan B. Anthony dollar is comprised of 87.5% copper. Zebra mussels, brought to North America on freighters from Europe, are kept from clogging the water intakes of power companies around the Great Lakes through the use of copper alloy screens that reject their attachment and impede growth.